… the superman press will kick those stubborn postural muscles into action! You should be able to feel the kinetic chain working from your gluteus all the way up to your trapezius muscles. Be sure that your thumbs are facing upwards and that you are lifting everything off of the floor – chest, arms, thighs, everything! 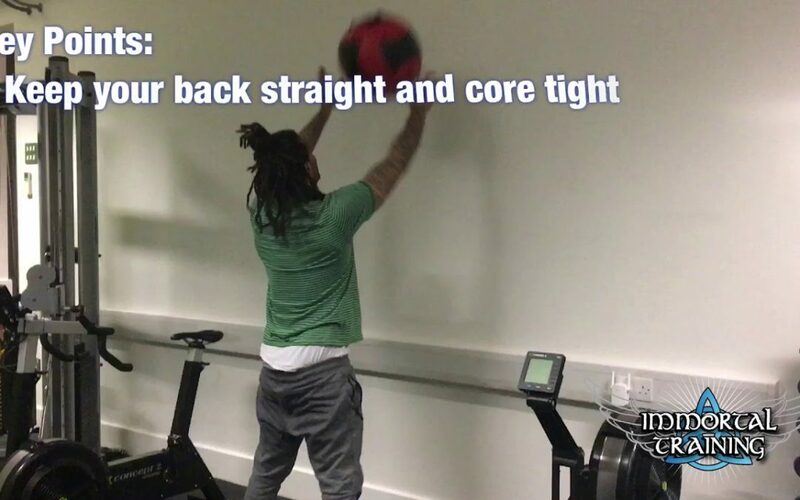 Use this exercise along with others that will strengthen your upper back/rear shoulders in order to correct issues like kyphosis, lordosis and a poor posture. Dynamic stretching, as opposed to static, is always the best option before training. 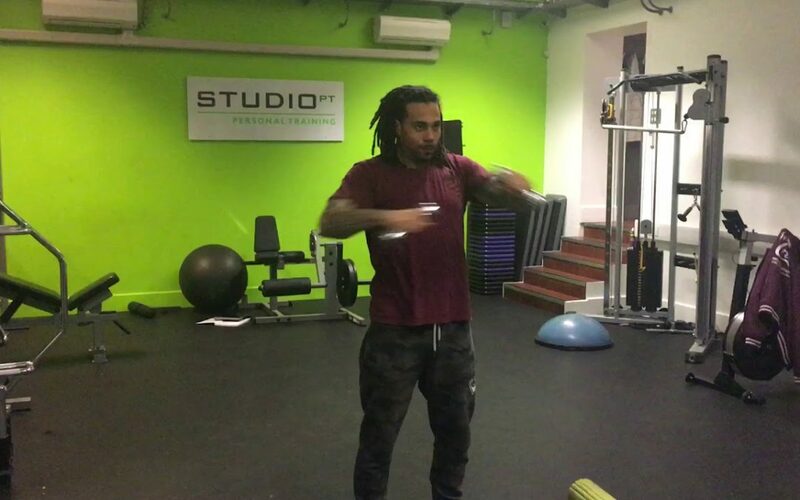 During exercise you are not likely to stretch the muscle as far as it can go and hold (excluding a few gymnastics and martial arts movements), so it doesn’t make sense to do any such thing when preparing them for a workout. Exercise typically involves a rapid and repetitive stretching and contracting of muscles. That is the key behind dynamic stretching. You should use light weights to dynamically stretch and contract the muscles using movements similar to those that make up your exercise routine. This will also warm the muscles up. 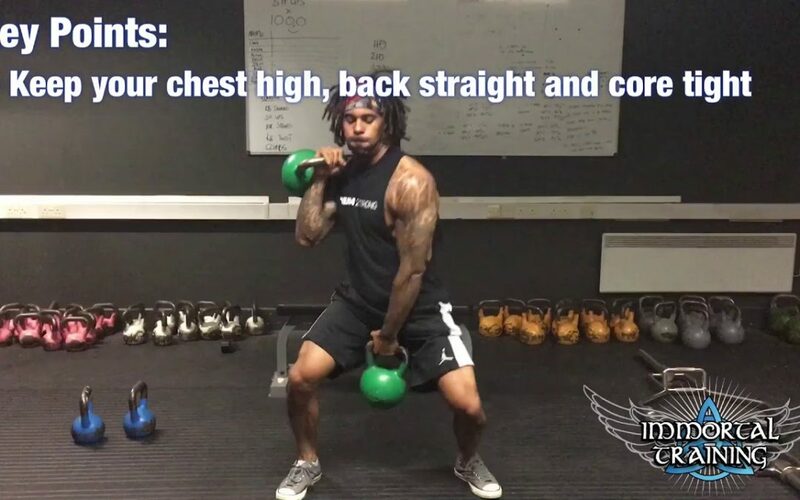 Complete 10-12 explosive reps of each movement and your chest, back, shoulders, triceps and biceps will be ready for action! 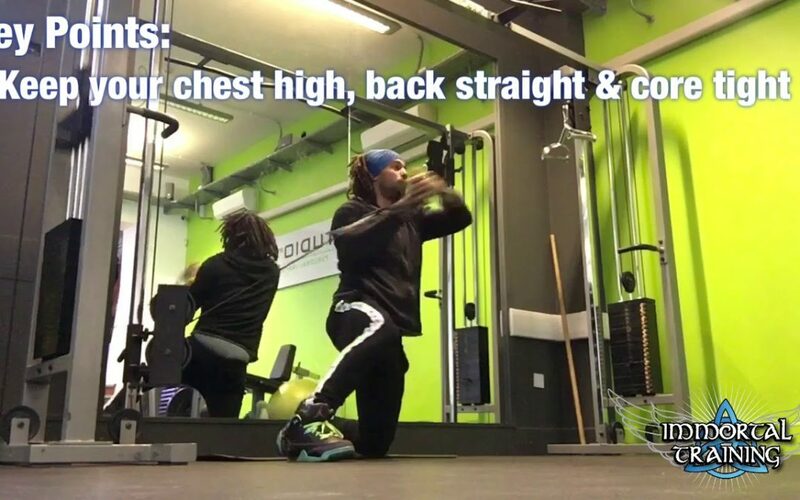 A variation of the Standing Wood Chop, the Kneeling Chop involves less legs and limits twisting of the hips (allowing the waist to dominate the movement).That means that your obliques will be more isolated, forcing them to work more. 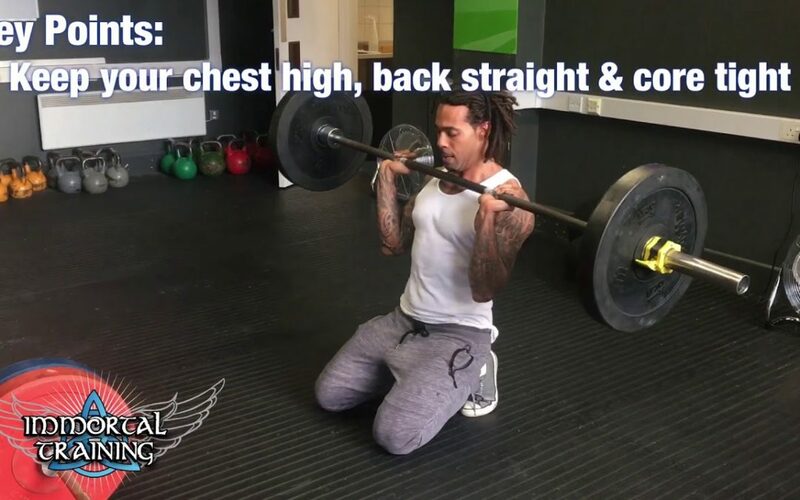 Wood chops and oblique exercises are highly recommended for anyone that competes in boxing, kick boxing, baseball, cricket, swimming, golf, tennis, sprinting, and any other sport that involves a lot of torso twisting!